This is legacy information for our 2008 product. We are working on minimum system requirements for CustomCAD 2019. Please stay tuned for daily updates! The preceding requirements list is recommended for effective use of CustomCAD™ Standard Edition software. Add more RAM (memory) to your computer. More memory is better. 4-8 GB for your system will be optimal. Buy a faster processor. The faster the processor, the faster your drawings will load, and draw. 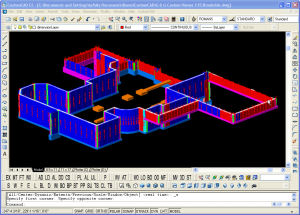 CustomCAD Standard is a 32 bit Windows application. It will install and work just fine on both 32-bit and 64-bit Windows Operating systems. It requires a 32-bit installation of AutoCAD. There are few systems that you can buy in today’s marketplace that would not work with CustomCAD™ and AutoCAD®. The preceding list of PC requirements is recommended for effective use of CustomCAD™ Contractor Edition software. Better display resolution. You can buy systems with larger display screens and more detailed picture quality. This will allow you to see more of your drawing at a time and in greater detail. Consider dual screens.